The Association for Veterinary Epidemiology and Preventive Medicine (AVEPM) is pleased to announce the program for the 2018 Schwabe Symposium honoring the lifetime professional achievements of Dr. Alfonso Torres. Dr. Alfonso Torres will be honored at The Schwabe Symposium hosted by AVEPM on Sunday the 2nd of December, 2018 at the Chicago Marriott Hotel, Downtown Magnificent Mile, Chicago, Illinois. The Calvin W. Schwabe Award recognizes lifetime achievement in veterinary epidemiology and preventive medicine. The Calvin W. Schwabe Award is presented annually by the AVEPM. Previous recipients include Drs. Calvin Schwabe, Robert Anderson, James Steele, S. Wayne Martin, Clive Gay, David W. Hird, Hollis Erb, Preben Willeberg, Dale Hancock, Ian Dohoo, Yrjo Grohn, Roger Morris, Will Hueston, and Ian Gardner. Dr. Torres is a native of Colombia, and he received his DVM from the National University of Colombia, his MS degree in veterinary pathology from the University of Nebraska, and a PhD in medical microbiology, specializing in virology, from the University of Nebraska Medical Center. Dr. Torres served as Deputy Administrator of USDA-APHIS-Veterinary Services from 1999 to 2002. In that capacity he was also the United States’ Chief Veterinary Officer and the US delegate to the World Organization for Animal Health (OIE). From 1996 to 1999, Dr. Torres was the Director of the Plum Island Animal Disease Center on Plum Island, NY. While at PIADC, Dr. Torres also served as chief of USDA’s Foreign Animal Disease Diagnostic Laboratory from 1994 to 1996. Prior to working for the USDA, Dr. Torres served as a veterinary virologist on the faculty of University of Nebraska and Cornell University from 1978-1987, and then worked for SmithKline Beecham Animal Health from 1987-1991. Dr. Torres returned to Cornell University in 2003 to serve as Professor and Associate Dean for Public Policy at the College of Veterinary Medicine, retiring in 2015. His teaching activities included the coordination of the USDA’s “Smith-Kilborne Foreign Animal Disease Program” that brought one veterinary student from each one of the US veterinary colleges to Cornell and to Plum Island for 11 years. Dr. Torres continues as an instructor at the USDA International Transboundary Animal Diseases (ITAD) Courses, teaching recognition of clinical signs and post-mortem lesions of the major transboundary animal diseases occurring around the globe. Over 500 veterinarians from 85 different countries around the world have been trained through the ITAD courses. He has also participated in short ITAD courses for government field veterinarians in Peru, Paraguay, Mongolia and Hong Kong. 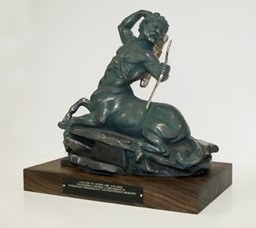 Among Dr. Torres’ awards are the 1998 “Daniel E. Salmon Award”, presented by US Secretary of Agriculture; a 2001 “Meritorious Executive” award presented by President George W. Bush; the 2010 “Karl F. Meyer-James H. Steele Gold Head Cane Award” from the American Veterinary Epidemiological Society; and the 2010 “USDA-APHIS Administrator Award”. All attendees of CRWAD are welcome and encouraged to attend this session. The Calvin W. Schwabe Award is presented annually by the AVEPM. Previous recipients include Drs. Calvin W. Schwabe, Robert K. Anderson, James H. Steele, S. Wayne Martin, Clive C. Gay, David W. Hird, Hollis N. Erb, Preben W. Willeberg, Dale Hancock, Ian Dohoo, Yrjö Gröhn, Will Hueston, and Ian Gardner. The Schwabe Award honors lifetime achievement in veterinary epidemiology and preventive medicine.